The Illinois Civil Justice League announced in its newsletter today that it has endorsed Democrat Mary Jane Theis for the Illinois Supreme Court in Cook County's First Judicial District. Justice Theis is a candidate for the Fitzgerald vacancy on the Supreme Court; she was appointed to that vacancy when Justice Thomas Fitzgerald stepped down. Her Republican opponent is Cook County Circuit Court Judge James G. Riley. The ICJL also endorsed five of the many Cook County Circuit Court judges seeking retention. The five judges highlighted by the ICJL are Moshe Jacobius, Martin Agran, Stuart Palmer, Garritt E. Howard, and E. Kenneth Wright, Jr.
A complete list of the ICJL's endorsements, both in Cook County and Downstate, can be accessed by clicking this link. Lisa Ann Marino emerged victorious in March over three other candidates to win the Democratic nomination for the Urso vacancy in the 11th Judicial Subcircuit. Although she faces no opposition in November, she does have a campaign debt to retire. Accordingly, per email received, Marino has scheduled a debt retirement fundraiser for Thursday, November 1 at Biaggio's 7309 W. Lawrence Avenue in Harwood Heights, from 5:30 to 8:30pm. For further information about the event, or to make reservations, email LisaMarinoforJudge@gmail.com. The Illinois Supreme Court has appointed Chicago attorney Daniel J. Kubasiak to the Cook County Circuit Court vacancy created by the recent retirement of Judge James D. Egan. Kubasiak's appointment is effective November 30 and runs to December 1, 2014. 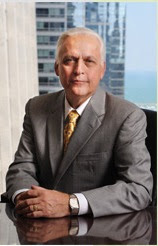 A 1981 graduate of Loyola University School of Law, Kubasiak served as the First Deputy Comptroller and First Assistant Budget Director of the City of Chicago from 1974-1981. He was Chief Administrative Officer for the Chicago City Council Committee on Finance from 1983 to 1987 and counsel for the Illinois State Treasurer from 1987 to 1994. Kubasiak was a founding partner of Kubasiak, Fylstra, Thorpe & Rotunno, P.C., the firm where he was practicing at the time of his appointment. NB: Yes, Judge Egan, the judge whose vacancy will be filled by Mr. Kubasiak's appointment, is on the November retention ballot, but only due to a paperwork snafu. Because he had planned to retire, Judge Egan did not participate in any of the bar associations' screening processes. Can any of the retention judges really lose? A lot of cynics will insist that all the judges on this year's Cook County retention ballot are "bulletproof" -- completely assured of safely navigating the forthcoming election. The cynics insist that, no matter how qualified -- or unqualified -- all judges on the ballot are assured of victory. The judges seeking retention know better. It is true that no Cook County Circuit Court Judge has lost a retention bid since 1990 -- but, in 1990, six judges were put out of work (seven lost their retention bids, but one of these was simultaneously elected to the Appellate Court). After being singled out by columnist Mike Royko and the Fraternal Order of Police, Judge Lawrence Passarella was defeated in a retention bid in 1986. John S. Boyle was Chief Judge of the Circuit Court of Cook County when he was defeated for retention in 1978. There are people who go into the polls bound and determined to vote "no" on every judge's bid for another term; no judge gets a 100% "yes" vote -- an 80% "yes" vote is about the most that a judge can hope for. The widely read police blog, Second City Cop, recently put up a post urging a "no" vote on every judge's retention bid this November. The Chicago Bar Association and the many bar associations that comprise the Alliance of Bar Associations have recommended a "yes" vote on most judges. In the final analysis, it is up to the voters -- such as those of you who happen on this page -- to determine whether any judicial candidate is worthy of your vote. Updated and corrected, with a tip of the hat to Dr. Albert Klumpp for calling my attention to my error. 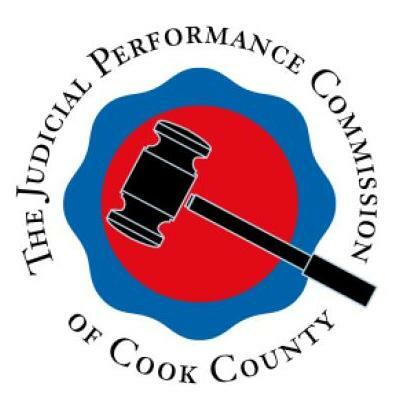 Unlucky 13: Judicial Performance Commission says 13 judges on the retention ballot need "performance improvement plans"
For this election cycle, the Judicial Performance Commission of Cook County has chosen not to "recommend or not recommend judges for retention." However, the JPC has completed its report on all of the Cook County Circuit Court judges seeking retention this fall and has released its findings in a report that can be accessed through the Chicago Appleseed Fund for Justice website or directly via this link (PDF Report). For judges with difficulties on the bench, the Commission’s report includes a judicial performance improvement plan which recommends actions such as peer mentoring, court watching, anger management courses, and continuing education. For judges demonstrating substantial difficulties on the bench, the Commission’s report includes a judicial performance improvement plan, and indicates that significant difficulties on the bench may impede his or her effectiveness as a jurist. [The Commission members] serve as a board of directors, overseeing and governing the operations, but not influencing the research results. The Chicago Appleseed Fund for Justice provides an independent research team of paid staff, interns and volunteers to collect and present data to the Commission for use in evaluating the judges. Chicago Appleseed, with the cooperation of the Chief Judge of the Circuit Court of Cook County and the Clerk of the Circuit Court, developed a list of lawyers who have appeared before the judicial retention candidates within the preceding three years. This list also included Cook County Assistant State’s Attorneys and Public Defenders who have been assigned to the courtrooms of the judges being evaluated. These lawyers received a web-based survey. Chicago Appleseed also conducted confidential interviews with a sampling of these attorneys, as well as interviews with supervising judges. Court-watching and research into local news media rounds out the data collection. Chicago Appleseed also conducted additional interviews with attorneys having extensive experience before the judges. Responses from a minimum of 30 and as many as 80 phone interviews and surveys from Clerk data, plus additional interviews, per judge were collected. Chicago Appleseed staff prepared a summary for each judge and presented the research to the Commission members. From those reports, the Commissioners determined the content of each evaluation. Each judge received a draft version of his or her evaluation and was offered the opportunity to appeal the evaluation in person or in writing. After the appeals process, staff finalized the evaluations, and the reports on each judge were reviewed and approved by members of the JPC. Updated and bumped up to reflect recommendations made by the Chicago Tribune. There were seven Cook County Circuit Court judges singled out by the Chicago Council of Lawyers as "not qualified" for retention on the November ballot. Several of the judges cited by the Council were also rated "not recommended" or "not qualified" by some or all of the other evaluating bar groups. There were also three retention candidates rated "not recommended" by the Chicago Bar Association that were rated "qualified" by the Council. Voters may want to compare all available information on each of these individuals before deciding whether to vote for or against their retention. We'll start with the Council's list. Judge Kathy M. Flanagan is “Qualified” for retention as a Circuit Court Judge. Judge Flanagan was admitted to practice law in Illinois in 1979 and has served as a judge since 1988. Judge Flanagan served in the Domestic Relations Division until 1993 and is currently supervising judge of the Law Division’s motion call. Judge Flanagan runs an efficient courtroom and is respected by the lawyers who appear before her. Questions regarding Judge Flanagan’s temperament were raised by some lawyers and the judge is working to address these concerns. Hon. Kathy M. Flanagan is currently the Supervising Judge within the Motion Section of the Law Division. She was elected to the Circuit Court in 1988, where she was initially assigned to the Domestic Relations Division. Judge Flanagan was retained for six-year terms in 1994, 2000, and 2006. The Committee evaluation revealed that Judge Flanagan is considered tough but fair, works hard, and fully understands the law. For the 2012 General Election, the Illinois State Bar Association determined Hon. Kathy M. Flanagan is qualified for retention as a judge of the Circuit Court of Cook County. The Chicago Council of Lawyers and the Illinois State Bar Association participate in the Alliance of Bar Associations for Judicial Screening. Although the screening process is handled collaboratively, each member group evaluates sitting judges and judicial candidates independently, and is free to arrive at its own conclusions. In Judge Flanagan's case, all of the other Alliance groups, that is, the Alliance are the Asian American Bar Association of the Greater Chicago Area (AABA), Black Women’s Lawyers Association of Greater Chicago (BWLA), Cook County Bar Association (CCBA), Decalogue Society of Lawyers (DSL), Hellenic Bar Association (HBA), Hispanic Lawyers Association of Illinois (HLAI), Lesbian and Gay Bar Association of Chicago (LAGBAC), Puerto Rican Bar Association of Illinois (PRBA), and Women’s Bar Association of Illinois (WBAI), recommend a "yes" vote to retain Judge Flanagan. Further information about Judge Flanagan is available on the 2012 Cook County Judges Retention Website and from the Chicago Tribune. All of the other Alliance Bar Associations, with the exceptions of the Asian American Bar Association of Greater Chicago and Hispanic Lawyers Association of Illinois, recommend a "no" vote on Judge Brim. The AABA did not evaluate Judge Brim; the HLAI recommends a "yes" vote. On March 9, Brim turned up at the downtown Chicago Daley Center courthouse — miles from the south suburban courthouse where she worked. She allegedly threw a set of keys and shoved a sheriff’s deputy before officers handcuffed her and took her to a basement holding cell. She was charged with misdemeanor battery before being released. The next week, a panel of Cook County supervising judges suspended her indefinitely. Court records obtained by the Sun-Times reveal she was examined by a court-appointed psychiatrist who believes she’s “presently mentally fit with medication” but opined she was “legally insane” at the time of the reported skirmish with the sheriff’s officer. Brim has declined to talk with the Sun-Times on the record about the charges she’s facing or comment about reports that she had been behaving erratically the day before her arrest while ruling on traffic cases in the Markham courthouse. The next hearing date in Judge Brim's case is November 7, the day following the election. The Chicago Tribune has recommended a "no" vote on Judge Brim's retention bid. Judge Christopher J. Donnelly is “Qualified” for retention as a Circuit Court Judge. Judge Donnelly was admitted to practice law in Illinois in 1985 and has served as a judge since 1994. Judge Donnelly is currently assigned to the Sixth Municipal District. Judge Donnelly is experienced, dedicated, thoughtful, and well versed in both civil and criminal law. Judge Donnelly is diligent and compassionate about helping explain the law to the litigants who appear before him. Some Alliance members agreed with the Council and the ISBA and recommend a "no" vote on Judge Donnelly. These groups are the Cook County Bar Association, the Lesbian and Gay Bar Association of Chicago, the Woman's Bar Association of Illinois, and the HLAI. Alliance members recommending a "yes" vote on Judge Donnelly are the Black Women's Lawyers Association of Greater Chicago, the Decalogue Society of Lawyers, the Hellenic Bar Association, the Puerto Rican Bar Association, and the AABA. Judge Donnelly responded to the Tribune questionnaire. The Tribune has recommended a "no" vote on Judge Donnelly's retention bid. Hon. Joyce Murphy Gorman is currently assigned to the 1st Municipal District, Civil Non-jury Trial Call. Judge Murphy Gorman was elected to serve as a judge in 2000, and she was retained for a six-year term in 2006. Judge Murphy Gorman is described as being knowledgeable about the law and always prepared. For the 2012 General Election, the Illinois State Bar Association determined Hon. Joyce Murphy Gorman is qualified for retention as a judge of the Circuit Court of Cook County. Judge Joyce M. Murphy Gorman is “Qualified” for retention as a Circuit Court Judge. 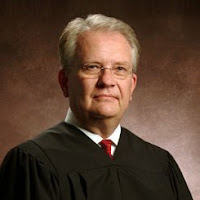 Judge Gorman was admitted to practice law in Illinois in 1995 and has served as a judge since 2000. Judge Gorman is currently assigned to the First Municipal District and presides over a high-volume civil injury call. Judge Gorman knows the law and has a fine judicial demeanor and temperament. Among the Alliance bar groups, only the Decalogue Society of Lawyers recommends a "no" vote on Judge Murphy Gorman; the other nine members of the Alliance (including the ISBA, quoted above) recommend a "yes" vote. Further information about Judge Murphy Gorman is available on the 2012 Cook County Retention Judges Website. Judge Murphy Gorman also responded to the Tribune questionnaire. Judge Hill-Veal chose not to participate in screening by any of the bar associations and was therefore found not qualified or not recommended by every single one. The CBA and each of the Alliance of Bar Association members recommends a "no" vote on Judge Hill-Veal. Further information about Judge Hill-Veal is available on the 2012 Cook County Retention Judges Website. The Chicago Tribune has recommended a "no" vote on Judge Hill-Veal's retention bid. With one exception, all of the other Alliance bar groups also recommend a "no" vote on Judge Chevere. The Puerto Rican Bar Association, however, recommends a "yes" vote for this candidate. The Chicago Tribune recommends a "no" vote on Judge Chevere's retention bid. The IVI-IPO has recommended a "yes" vote for Judge Chevere. One other judge received unanimously negative reviews from both the Chicago Bar Association and every Alliance bar group, namely, Judge James Egan. According to to the ISBA's Joyce Williams, who coordinates judicial evaluations for the Alliance, Judge Egan advised the group some time ago that he would be retiring in December and, accordingly, he was not scheduled for interviews. Unfortunately, because of a paperwork snafu, Judge Egan did not get his name removed from the retention ballot in time. FWIW has been informed that Judge Egan has accelerated his retirement plans and has already left office; in fact, the Illinois Supreme Court has already named Egan's successor. Judge Egan's name, however, will still be on the November retention ballot. There were also three candidates rated "not recommended" by the Chicago Bar Association that were not mentioned by the Chicago Council of Lawyers. We'll look at these candidates next. Prior to becoming a judge, Rodney Brooks worked as a solo practitioner maintaining a diverse general practice. Judge Brooks was elected to the Circuit Court in 1994 and assigned to the First Municipal District Traffic Center. In 1996, he was transferred to the Juvenile Justice Division, where he is presently assigned as a floater or coverage judge. Judge Brooks received high marks from attorneys on both sides of the aisle. His legal ability and knowledge of the law is considered one of his most obvious strengths. Attorneys commented that he “reads statutes literally and follows them” to the letter of the law, that he is “extremely well versed in the law” and does research when he is uncertain about a particular issue. Judge Brooks garnered praise for his courtroom management, with respondents noting that he does a “great job moving through his cases” and the call is “very smooth” in his courtroom. Our research shows that he is prepared for court. As a trial judge in the past, the Council heard negative reports about Judge Brooks’ temperament and ability to control a courtroom. As a floater judge with a more limited call in this evaluation, the reports have been more positive. On balance, the Council finds him Qualified for retention. Hon. Rodney Hughes Brooks is currently assigned to the Juvenile Justice Division. He was a “floater” judge within the Division until he was recently assigned to a permanent calendar. In 1994, he was elected to the Circuit Court of Cook County and was initially assigned to the 1st Municipal District Traffic Court. 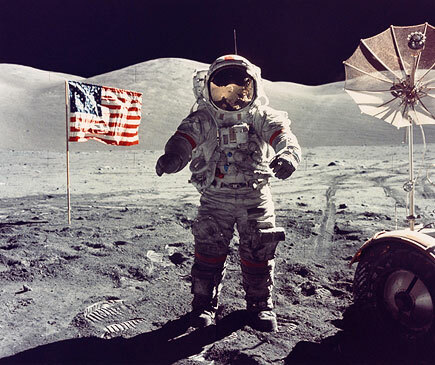 He was transferred to his current Division in 1996. Judge Brooks was retained for six-year terms in 2000 and 2006. Judge Brooks is procedurally oriented and very diligent. He is punctual and has good judicial temperament. For the 2012 General Election, the Illinois State Bar Association determined Hon. Rodney Hughes Brooks is qualified for retention as a judge of the Circuit Court of Cook County. Every one of the Alliance bar groups joins with the Council and the ISBA in recommending a "yes" vote for Judge Hughes. Further information about Judge Brooks is available on the 2012 Cook County Judges Retention Website. Judge Brooks responded to the Tribune questionnaire; however, the Tribune has recommended a "no" vote on Judge Brooks. Prior to becoming a judge, Loretta Eadie-Daniels was an Assistant Cook County State’s Attorney and, before that, an attorney for the Chicago Transit Authority. Judge Eadie-Daniels was elected to the Circuit Court in 2000 and was assigned to a misdemeanor call in the Sixth Municipal District. She remains in the Sixth District, but now handles traffic and ordinance violations. Attorneys report that Judge Eadie-Daniels takes her responsibility toward pro se litigants seriously, although some attorneys believe this slows down her call. She is generally described as having a good temperament. While some attorneys report that she could do a better job of managing her courtroom, she is well regarded by most attorneys in her current assignment. The Council finds her Qualified for retention. Hon. Loretta Eadie-Daniels is currently assigned to the 6th Municipal District. She has been assigned to the 6th Municipal District since she was elected to the Circuit Court of Cook County in 2000. Judge Eadie-Daniels was retained for a six-year term in 2006. Judge Eadie-Daniels is considered to have adequate legal knowledge and ability and is considered impartial with sufficient experience. For the 2012 General Election, the Illinois State Bar Association determined Hon. Loretta Eadie-Daniel is qualified for retention as a judge of the Circuit Court of Cook County. Every one of the Alliance bar groups lines up with the Council and ISBA in recommending a "yes" vote on Judge Eadie-Daniels. 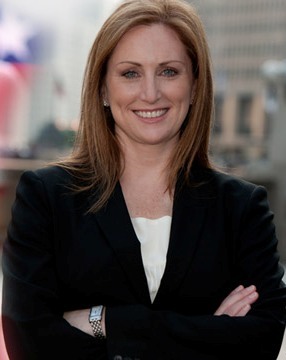 Prior to becoming a judge, Lisa Ruble Murphy was Deputy Chief Administration Officer for the Chicago City Council’s Committee on Finance. Judge Ruble Murphy was elected to the Circuit Court in 1994. Judge Ruble Murphy was initially assigned to the First Municipal District of the Cook County Circuit Court. In January 1995, she was assigned to the Domestic Relations Division, where she currently serves. Many respondents praised Judge Ruble Murphy as a judge, but a significant number of respondents report concerns about her performance. For instance, while lawyers reported that Judge Ruble Murphy gives a fair trial, there were complaints that she sometimes pushes too hard to discourage parties from going to trial, even where the parties have clear and irreconcilable difficulties. Some of the attorneys interviewed also reported that she is often late in starting her call. However, Judge Ruble Murphy is considered to be a smart, solid jurist. On balance, the Council finds her Qualified for retention. Hon. Lisa Ruble Murphy was elected to the Circuit Court of Cook County in 1994. Her current assignment is as an independent calendar judge in the Domestic Relations Division. She presides over pre- and post- decree domestic relations cases. Judge Ruble Murphy was retained for six-year terms in 2000 and 2006. Judge Ruble Murphy prefers to have cases settled instead of being litigated. There were some concerns raised about the difficulty of scheduling contested matters in a timely fashion. She is considered to be well versed in the law and is praised for her judicial temperament. For the 2012 General Election, the Illinois State Bar Association determined Hon. Lisa Ruble Murphy is qualified for retention as a judge of the Circuit Court of Cook County. The Lesbian and Gay Bar Association of Chicago recommends a "no" vote on Judge Ruble Murphy; all of the other Alliance bar groups, however, recommend a "yes" vote for this judge. Judge Ruble Murphy responded to the Tribune questionnaire. The Tribune recommends a "no" vote on Judge Ruble Murphy's retention bid. The IVI-IPO has recommended a "yes" vote in favor of Judge Ruble Murphy. In an editorial today the Chicago Tribune urges voters to say "no" to six judges seeking retention in office this November. The Tribune singles out Cynthia Brim, Gloria Chevere, Rodney Hughes Brooks, Christopher Donnelly, Pamela Hill-Veal, and Lisa Ruble Murphy. The links in the preceding sentence will take you to responses submitted by those candidates to the Tribune's questionnaire. Candidates' names that are not linked apparently did not respond to the Tribune questionnaire. Welcome Cook County Early Voters! For some reason, many of you will vote as soon as early voting starts on October 22 or shortly thereafter. I hate to be the one to break it to you -- but, even though you've already done your civic duty, you'll still have to deal with the attack ads and the phone calls right on through November 6. You've presumably arrived on this page because you want to make choices that you think are appropriate in judicial elections. Hopefully, therefore, you also voted in the Democratic primary -- not because For What It's Worth has entered the partisan fray but, rather, for the simple reason that most of the Cook County judicial races were decided there. Yes, I know, the Republican primary also decided who would win one seat in the 13th Judicial Subcircuit -- but the point remains: All of the open Appellate Court and countywide Circuit Court seats were decided in the primary. So were most of the subcircuit vacancies. There is a partisan contest for Justice of the Illinois Supreme Court, for one 12th Subcircuit vacancy, and for both vacancies in the 4th Judicial Subcircuit. On the other hand, there are 57 Circuit Court Judges and one Appellate Court Justice on the retention ballot this year. You are asked to vote Yes or No on the question of whether each of these persons should be retained in office. Any judge who fails to get a 60% (plus 1) favorable vote would be looking for work come the first Monday in December. Most judges -- the vast majority in Cook County, certainly -- merit retention. In any given election cycle, however, there will be some who are controversial, some who have received generally bad marks from the evaluating bar associations or who have bypassed the evaluation process altogether. For What It's Worth makes no recommendations or endorsements. I will, however, shortly put up a post where voters can compare what the different bar associations have said about candidates who have been rejected by one or more of the major bar groups. In addition to the posts I've already put and the posts I'll be putting up here in the coming days, there are other resources for the voter looking to study up on judges. Suburban Cook County voters can obtain a sample ballot via this page on the website of Cook County Clerk David Orr. Some of the candidates' names on your sample ballot will be hyperlinked. Clicking on these links will take you to statements provided by the candidates or their campaigns. Circuit Court Judges seeking retention who have submitted statements are Moshe Jacobius, Stuart E. Palmer, Ronald F. Bartkowicz, E. Kenneth Wright, Jr., Lee Preston, James M. Varga, Marcia Maras, Carl Anthony Walker Mike McHale, Diane M. Shelley. Justice James Fitzgerald Smith, who is seeking retention on the Appellate Court, also has a candidate statement on the Cook County Clerk's website. Voters in the City of Chicago don't get hyperlinked candidate statements on their sample ballots, but Chicago voters can get a sample ballot on the website of the Chicago Board of Election Commissioners. Some Cook County judges seeking retention have also answered questionnaires posed by the Illinois Civil Justice League. Questionnaire responses received by the ICJL from all Illinois judicial candidates are available through the IllinoisJudges.net website. Cook County judges seeking retention who have answered the ICJL questionnaire are Martin S. Agran, Ellen L. Flannigan, Moshe Jacobius, Lee Preston, Thomas David Roti, and Carl Anthony Walker. Justice James Fitzgerald Smith also submitted a response to the ICJL Questionnaire. All of the judges seeking retention are listed on the 2012 Cook County Judges Retention Website. Many of the judges (and Justice Smith) also have statements on this site as well. Retention Judges: The default vote is 'yes'. Voters attempting to evaluate Cook County judicial retention candidates or candidates in the few contested judicial elections on the ballot in Cook County this fall will encounter all sorts of references to "judicial temperament." The Chicago Bar Association says that "judicial temperament" is one of the eight criteria it considers when reviewing the merits of a judge seeking retention or a judicial candidate seeking election (for the record, the eight categories are "integrity, legal knowledge, legal ability, professional experience, judicial temperament, diligence, punctuality and health factors"). For What It's Worth endorses no candidates and makes no recommendations about candidates. But I've been around, practicing in courts around this state for over 30 years. Nobody likes being bullied. And, sadly, a judge with a poor temperament is often a bully, pushing people around simply because he or she can, embarrassing lawyers in front of their clients, and in general not treating the people who appear in court with the respect and civility which one might expect. No, I'm not naming names. But one judge comes to mind -- and this was a long time ago and not in Cook County -- who was grouchy, irascible, sour, and even downright mean to those appearing in front of him. To everyone who appeared before him. In that county, at that time, some judges treated Cook County lawyers with disdain, openly favoring the members of the local bar. Not this judge. He didn't seem to like anyone. Now, don't get me wrong: I didn't enjoy my visits to this man's courtroom. But, temperament aside, I thought him a pretty good judge: From what I could observe, his rulings were based on the law, sound, and understandable -- even when they went against me. I could live with that. It beats the heck out of the alternative. Again, years ago, there was a judge who was good temperament personified. I appeared on a regular basis in front of this judge and was always treated civilly and with respect. And I often left that courtroom coming thisclose to losing my temper. (There were a number of incidents in this courtroom where other lawyers actually did lose their tempers.) The problem was that, while this judge was a decent, nice, caring person, this judge was also indecisive, inconsistent and unpredictable. No, the law is not an exact science. One can never predict with absolute certainty that this motion will be granted or that another motion will be denied. Lawyers can not ethically guarantee results in any case. But some things in some cases are pretty predictable. Judges are guided by statutes and the common law, as set out in the reported cases. In many instances, therefore, when judges follow the law, the results should be fairly predictable. Clients hire lawyers because of the lawyer's perceived expertise and skill. A lawyer who tells a client she has a great case -- and then loses -- will likely not get more business from that client. But how do we know what is a 'good case' or a 'close case" or a 'great case' or a 'tough case'? We know the law (or we've looked it up) and we evaluate how a court or jury should respond to the facts and the governing law. I do a lot of insurance coverage work. Much of my career has been spent evaluating how a court should rule in particular circumstances and recommending client actions based on those evaluations. When I think my client has a close case, I say so, and the client decides how, or whether, to proceed. But when I evaluate a case as a strong one, one in which the statutes and cases predict victory, I expect to win. Programming note: Round-up posts on contested Cook County judicial elections and on the retention election will be forthcoming in the next several days. UPDATE 11/7/16: For information about eligible write-in candidates in the 2016 general election, see this post. Even casual observers of the election scene understand, on some level, that it takes quite a bit of effort -- and paper! -- to qualify for the ballot in Illinois. But perhaps very few realize that, in Illinois, even write-in candidates have to file papers in order to have their votes counted. The operative Illinois Statutes are §§17-16.1 and 18-9.1 of the Election Code (10 ILCS 5/17-16.1 and 10 ILCS 5/18-9.1). You may think your neighbor Bob would make a better state representative than anything the Democrats or Republicans have on offer this year, but unless Bob has filed a notarized declaration of intent with the appropriate election authority "not later than 61 days prior to the election," your vote for Bob won't count. On the other hand, recent news accounts (here, for example, or here) have quoted Anthony W. Williams, a write-in candidate for Congress in the south suburban 2nd Congressional District (where Jesse Jackson, Jr. is the incumbent). Rev. Williams has filed a declaration of candidacy, and votes for him will be counted. Election attorney James Scanlon confirmed that at least one purpose of the write-in laws is to stop public records from being cluttered with votes for Donald Duck and the like. In response to an email inquiry from FWIW about how write-in votes are counted, Scanlon advised, "At the end of election day and the close of the polls, the judges will remove the paper optical scan ballots from the ballot box. The optical scanner is designed to detect whether there is a marking on the line reserved for write-in candidates and to deposit those ballots into a separate bin in the front of the ballot box. Judges of election are instructed to remove these ballots and review them for valid write-in votes. The judges then record the results of the valid write-in votes on a certification form, which is returned to the Board. Any votes recorded on a touchscreen are automatically tallied and shown on the total tape generated after the polls close." A number of individuals have qualified as write-ins in Illinois for President and Vice-President of the United States. Among these are Jill Reed and Tom Cary, the candidates of the Twelve Vision Party, which promotes "The Prime Law, the three-thousand-year-old-secret" (which would presumably be revealed should Reed and Cary win); Jerry White and Phyllis Scherrer, the candidates of the Trotsky-ite Socialist Equity Party; Virgil Goode and Jim Clymer, the candidates of the Constitution Party, which wants to dramatically restrict immigration and even deny citizenship to children of foreign nationals born on American soil; and Ross C. "Rocky" Anderson, the candidate of the Justice Party, which bills itself as "a grassroots, broad-based, real political alternative to the corporate-controlled Democratic and Republican parties." No individuals filed timely declarations as write-in candidates for any Cook County judicial office. Information about presidential candidates obtained from September 4 and September 25 articles on Mental Floss.